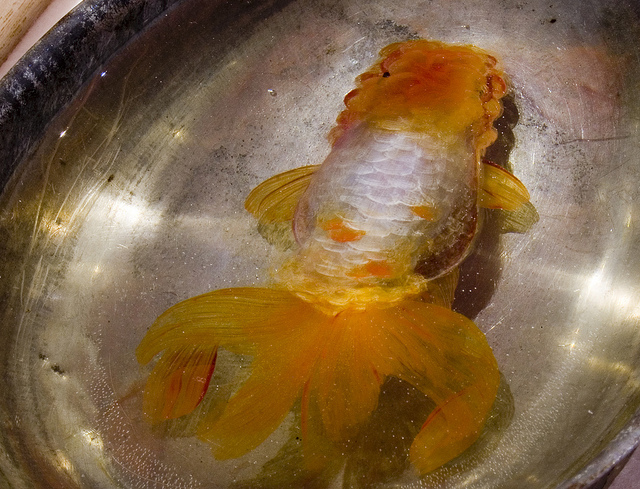 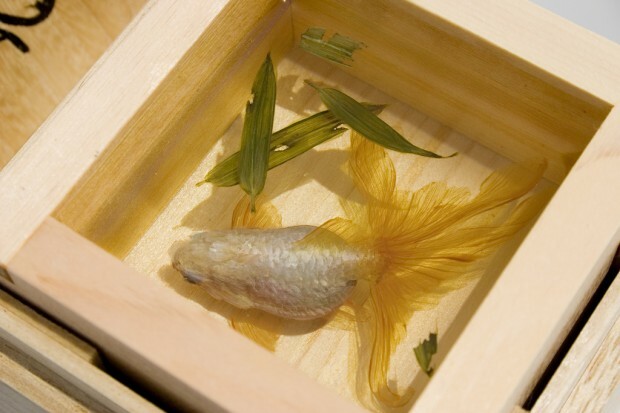 Japanese artist Riusuke Fukahori exhibited his latest work 'Goldfish Salvation' in January at the ICN gallery in London, England. 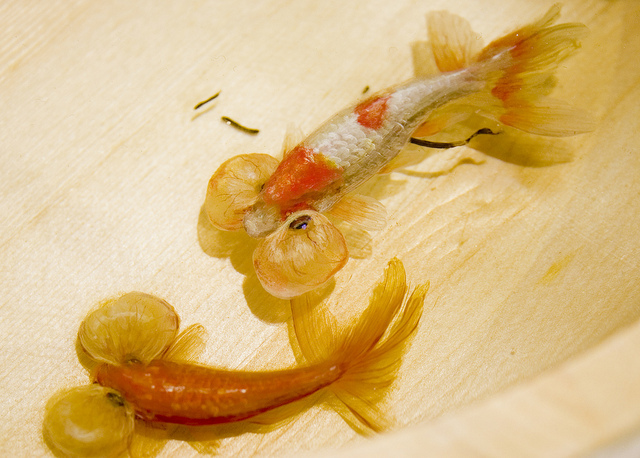 Fukahori has developed a technique which is akin to 3D printing in which he uses layers of casting resin and paint to build a 3D painting. 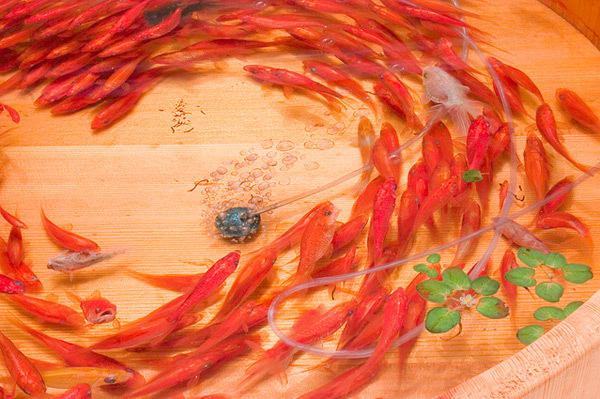 The result is stunningly lifelike pieces that are a cross between painting and sculpture. 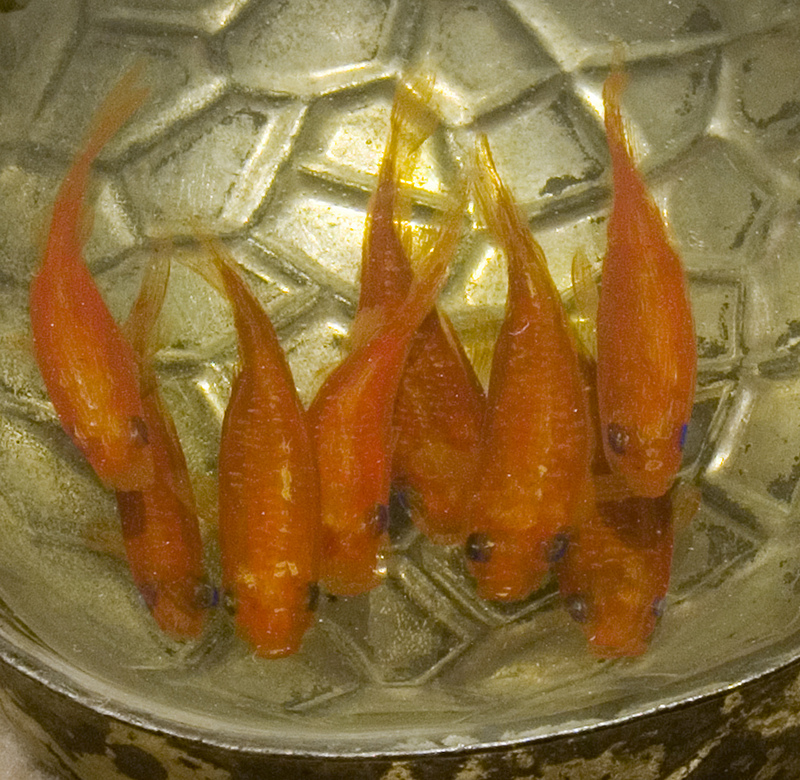 Fukahori began using Goldfish as a theme in his work after a period of 'artists block', the little fish have a long history of being loved by people and he found himself inspired by their shimmering scales and graceful movement. 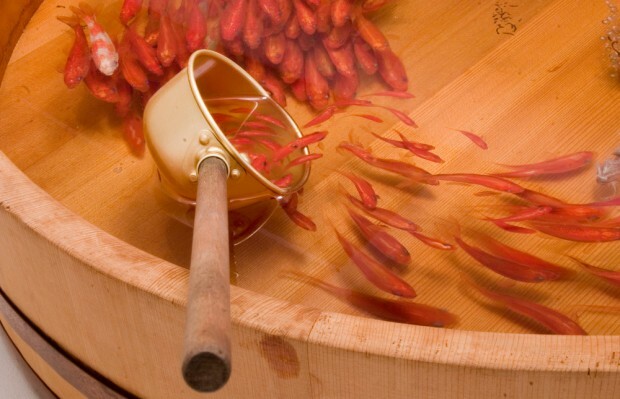 The embedded video below shows Fukahori's technique which involves intricate brush stokes sandwiched between thin layers of resin which he contains in pewter bowls or bamboo vessels.